On 19 October 2017, the Pan-STARRS 1 telescope in Hawai`i picked up a faint point of light moving across the sky. 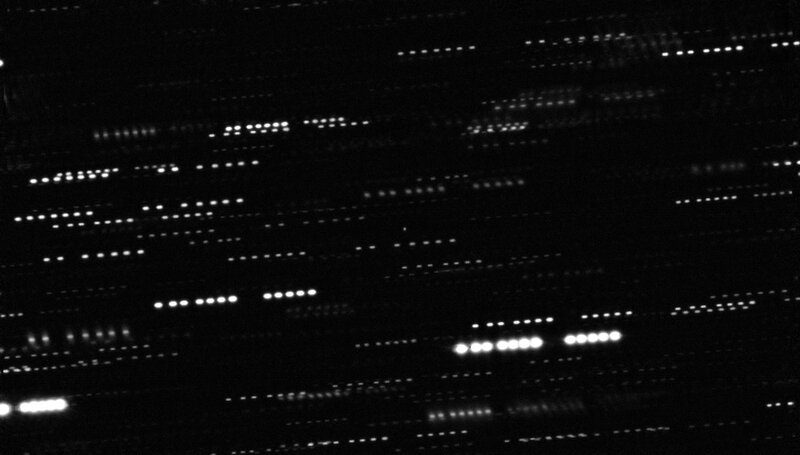 It initially looked like a typical fast-moving small asteroid, but additional observations over the next couple of days allowed its orbit to be computed fairly accurately. The orbit calculations revealed beyond any doubt that this body did not originate from inside the Solar System, like all other asteroids or comets ever observed, but instead had come from interstellar space. Although originally classified as a comet, observations from ESO and elsewhere revealed no signs of cometary activity after it passed closest to the Sun in September 2017. The object was reclassified as an interstellar asteroid and named 1I/2017 U1 (`Oumuamua) . ESO’s Very Large Telescope was immediately called into action to measure the object’s orbit, brightness and colour more accurately than smaller telescopes could achieve. Speed was vital as `Oumuamua was rapidly fading as it headed away from the Sun and past the Earth’s orbit, on its way out of the Solar System. There were more surprises to come. These properties suggest that `Oumuamua is dense, possibly rocky or with high metal content, lacks significant amounts of water or ice, and that its surface is now dark and reddened due to the effects of irradiation from cosmic rays over millions of years. It is estimated to be at least 400 metres long. Preliminary orbital calculations suggested that the object had come from the approximate direction of the bright star Vega, in the northern constellation of Lyra. 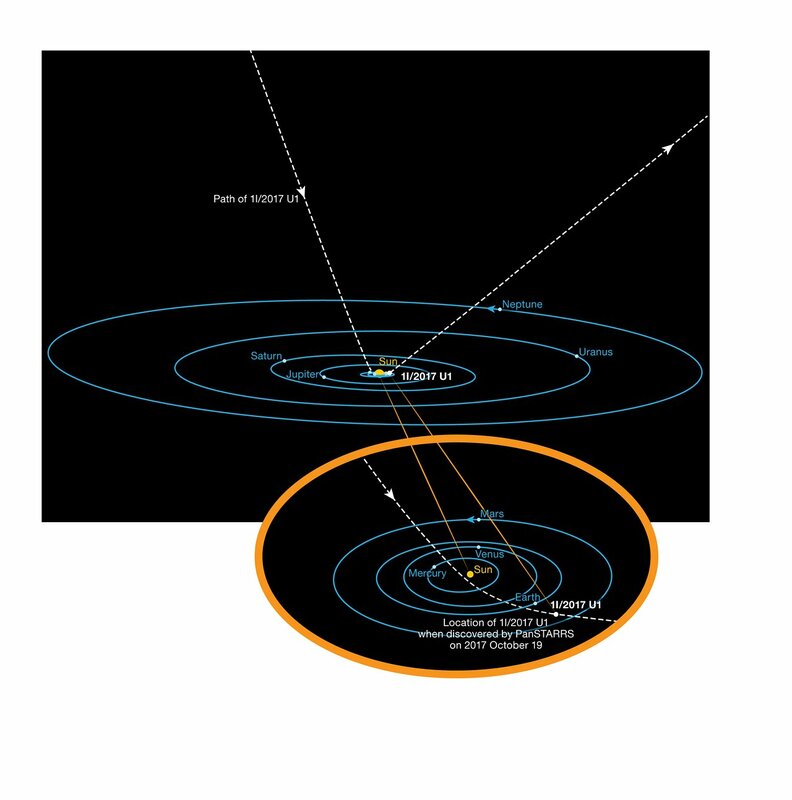 However, even travelling at a breakneck speed of about 95 000 kilometres/hour, it took so long for the interstellar object to make the journey to our Solar System that Vega was not near that position when the asteroid was there about 300 000 years ago. 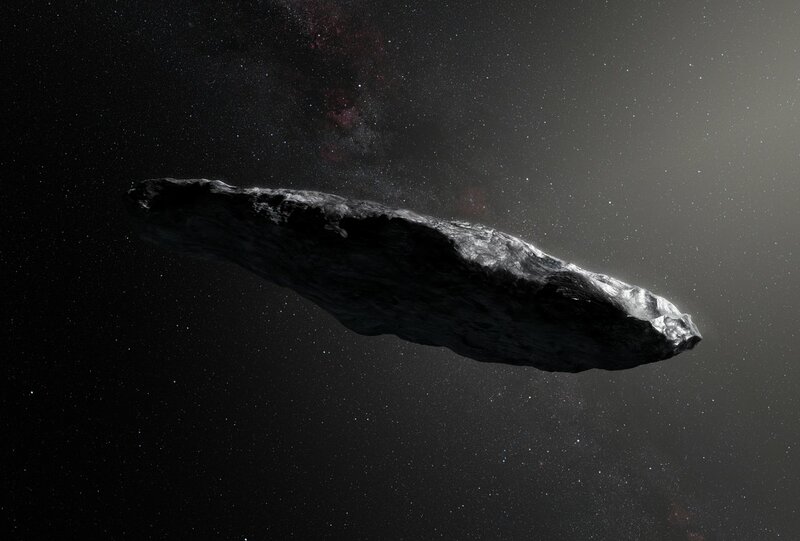 `Oumuamua may well have been wandering through the Milky Way, unattached to any star system, for hundreds of millions of years before its chance encounter with the Solar System. The Pan-STARRS team’s proposal to name the interstellar objet was accepted by the International Astronomical Union, which is responsible for granting official names to bodies in the Solar System and beyond. The name is Hawaiian and more details are given here. The IAU also created a new class of objects for interstellar asteroids, with this object being the first to receive this designation. 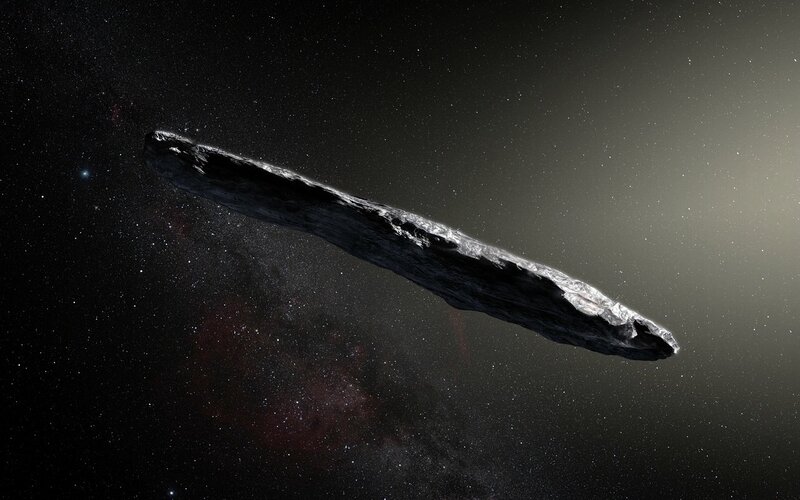 The correct forms for referring to this object are now: 1I, 1I/2017 U1, 1I/`Oumuamua and 1I/2017 U1 (`Oumuamua). Note that the character before the O is an okina. So, the name should sound like H O u mu a mu a. Before the introduction of the new scheme, the object was referred to as A/2017 U1. This research was presented in a paper entitled “A brief visit from a red and extremely elongated interstellar asteroid”, by K. Meech et al., to appear in the journal Nature on 20 November 2017. The team is composed of Karen J. Meech (Institute for Astronomy, Honolulu, Hawai`i, USA [IfA]) Robert Weryk (IfA), Marco Micheli (ESA SSA-NEO Coordination Centre, Frascati, Italy; INAF–Osservatorio Astronomico di Roma, Monte Porzio Catone, Italy), Jan T. Kleyna (IfA) Olivier Hainaut (ESO, Garching, Germany), Robert Jedicke (IfA) Richard J. Wainscoat (IfA) Kenneth C. Chambers (IfA) Jacqueline V. Keane (IfA), Andreea Petric (IfA), Larry Denneau (IfA), Eugene Magnier (IfA), Mark E. Huber (IfA), Heather Flewelling (IfA), Chris Waters (IfA), Eva Schunova-Lilly (IfA) and Serge Chastel (IfA).